1. Is the Paralegal Program ABA-approved? Yes. The Inver Hills Paralegal Program is approved by the American Bar Association (ABA) and has been since 1978. The approval process requires excellence in paralegal education and practical paralegal training, and is very important to everyone involved in our program. The American Bar Association – Standing Committee on Paralegals provides detailed guidelines that our paralegal program must follow which helps us keep current and in-touch with the best educational methods for our students. 2. Where is the Paralegal Program located? Inver Hills Community College is located in Inver Grove Heights, Minnesota which is 10 miles from downtown St. Paul. We are near the intersection of Highway 52 and 80th Street East just three exits south of Interstate 494. 3. Do I need to be accepted into the Paralegal Program? 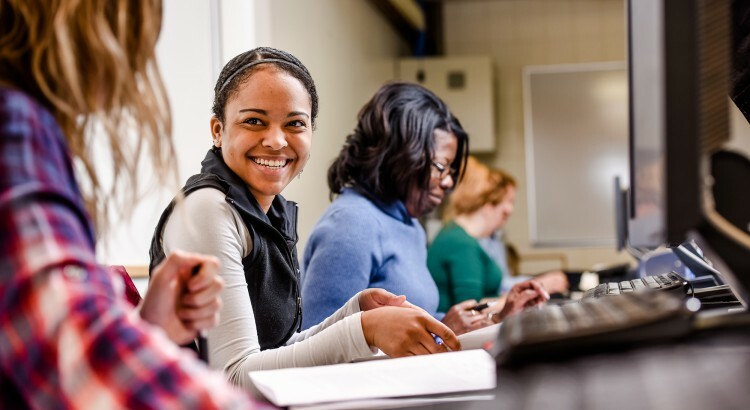 All you need to do is apply to the college, take assessments in English/Reading and Math (or send in official college transcripts if you have taken prior college credit or degree) and attend an in-person orientation or if you qualify take online orientation, and then, upon college approval you may register for classes. Students who have taken college-level English and college-level Math or Science with a Lab and passed with a “C” or better can transfer those credits to waive the requirements for assessments. Inver Hills Community College is an equal opportunity educational institution and is open to everyone. 4. Can someone help me plan my schedule? Yes. Part of the registration process involves meeting with a college counselor/adviser to plan a schedule. Also, the Paralegal Program Director helps the paralegal students prepare degree or certificate plans that map out which courses to take when. This worksheet assists students to keep on the right track, with a proper load of classes for success, and a goal towards graduation. 5. What is the cost of tuition and books? Tuition and fees for Minnesota residents is linked below and runs approximately $177.75 per one semester credit. Legal books are about $1,200 for all ten paralegal classes but used or rented books can sometimes be found at the Inver Hills Bookstore for less. More information on tuition and fees. 6. Are there prerequisites for courses? Yes, definitely! Each course description will indicate if there is a prerequisite, and the prerequisite course must be taken in advance. For example, if you assess below college levels for English and Reading, you will need to take courses to bring you to the level to take ENG 1108. You will need to assess at the college level English and Reading levels – ENG 1108 in order to register for and begin paralegal courses. Also, the Introduction to Law and Contracts class (PA 1102) is a prerequisite to most of the paralegal coursework. So, take Intro first! Again, you must assess into ENG 1108 or have taken and transferred a requisite college-level English course as a prerequisite to taking Introduction to Law and Contracts (PA 1102) and the Criminal Justice System (PA 1105) course. Another critically important fact is that Legal Research (PA 2220) is a prerequisite to Legal Writing and Analysis (PA 2222) and the Paralegal Internship (PA 2289) and should be taken later in your paralegal coursework. You MUST take Legal Research before Legal Writing which are offered during semesters only. Planning is important to keep on track to finish the program on your time frame. If you have questions, contact a college counselor/adviser or the Paralegal Program Director. 7. Are the professors in the program lawyers? All of the paralegal professors are attorneys who practice or have practiced law during their careers or are experienced working with paralegals. Our instructors attend continuing legal education courses regularly as part of their state licensure or work requirements. Just as important, instructors are educated in up-to-date teaching methods, resources, technology and utilize practical assignments in classroom for students’ real-life experience as a paralegal or legal support professional. 8. Does the Paralegal Program offer career development and employment preparation services? Yes. Inver Hills has a full-time Career Services area that helps students prepare and look for work. Employers contact both the Director of Career Services and the Paralegal Program Director, and together we post advertisements and recommend to students and graduates to seek these opportunities. The Paralegal Program Director is an excellent contact for career development and resources. More information about career development and employment services. 9. What are the Paralegal Program employment rates? On average, approximately 75-90% of our graduates report finding paralegal or law-related positions within the first year of graduation from our paralegal program or go on to seek bachelor degrees and sometimes law school. Our employment rates vary each year with the state of the economy and the availability of paralegal or related legal positions. 10. Does the Paralegal Program offer computer training? We encourage students to seek computer training on their own. However, IHCC offers Microsoft Word, Excel, Access, and PowerPoint courses, and access to the self-paced, online training sessions in Atomic Learning. These courses or online training sessions are highly recommended but are not a formal part of the required paralegal program curriculum. Every student and paralegal should have these computer skills and know how to use them to be successful in the paralegal profession! Make a plan to improve your computer technology skills as you progress through the Paralegal Program. It will serve you well in the legal profession.